Dicrurus leucophaeus Vieillot, 1817, "Ceylon" = Java. About fourteen subspecies, differing principally in depth of body tone, tail furcation, and presence and extent of a white facial mark. 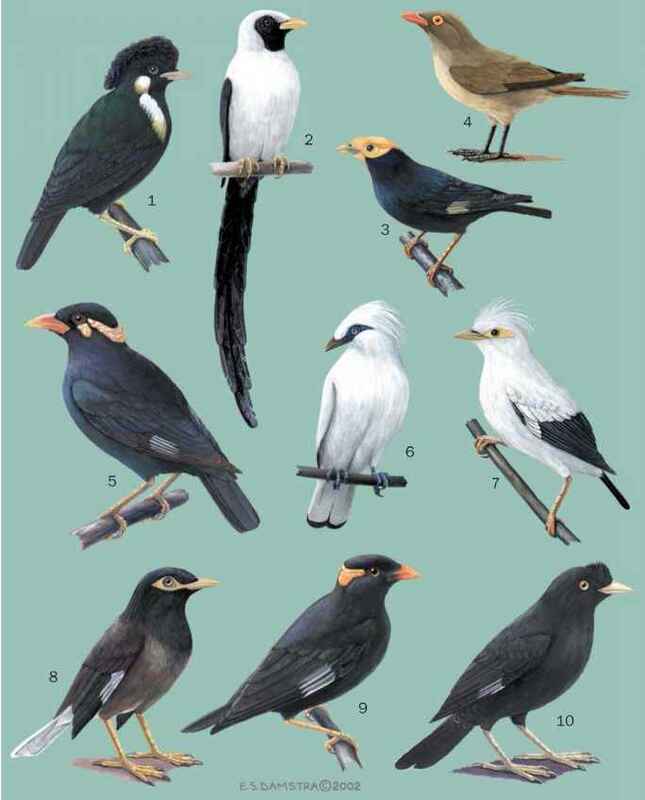 All subspecies intergrade where their breeding ranges meet. French: Drongo cendré; German: Graudrongo; Spanish: Drogo Cenzio. 10.5-12.0 in (26-30 cm); 1.4-2.2 oz (40-60 g). The only gray drongo, slim in body and with well-forked tail, varying from pale to dark slaty ashen, paler ventrally and with light green-blue gloss dorsally that disappears in the palest races; sexes alike and rich red-eyed but immatures duller and brown-eyed. Southeast Afghanistan through Himalayas, peninsular India and Sri Lanka to all Southeast Asia north through central and east China to south Manchuria and southeast in Greater Sun-das and off-shore islands north to Palawan (Philippines) and east to Lombok (Lesser Sundas). More northern populations migrate to more tropical latitudes out of breeding during November through March. shady village groves when resident or breeding, at altitudes from sea level to over 9,900 ft (3,000 m); migrants commonly enter more open woodlands, gardens and plantations at winter quarters. Usually in pairs or small groups, particularly on migration, ashy drongos work through the upper strata of trees, perching high up and launching in swooping sallies after food, from tree top to near the ground. Calls are a varied assortment of harsh screeches, metallic chatterings, and pleasant musical whistles; mimicry is often included. Crepuscular aerial insectivore, feeding by sallying from vantage perches from dawn almost until dark. Diet includes a variety of flying insects—locusts, grasshoppers, crickets, moths and butterflies, ants, beetles, and venomous Hymenoptera—as well as occasional small reptiles and birds. Ashy drongos gather in groups of up to 30 or so at termite emergences, and also rifle nectar frequently. Northern migratory populations breed in the late boreal spring into early summer (April-June), but residents in more tropical latitudes are less seasonal (December-February in Borneo). Nest: a shallow saucer of lichen, dry leaves, and stems secured with or without cobweb in a slender fork at the end of a branchlet at 33-66 ft (10-20 m) above ground. Eggs: two to four per clutch, 0.9-1 x 0.70-0.74 (22.5-25.0 x 17-19 mm), variably pinkish cream to sometimes dark buff, and rather heavily spotted and blotched with reddish brown and black. Although the species as a whole is not threatened, its forms on small islands off Sumatra—D. l. periophthalmicus and D. l. siberu—are probably under threat from habitat depletion.